With deep gratitude for a blessed Chapter experience, the Dominican Sisters ~ Grand Rapids announce our incoming Leadership Team. Sandra Delgado, OP will serve as the new Prioress of the Congregation. 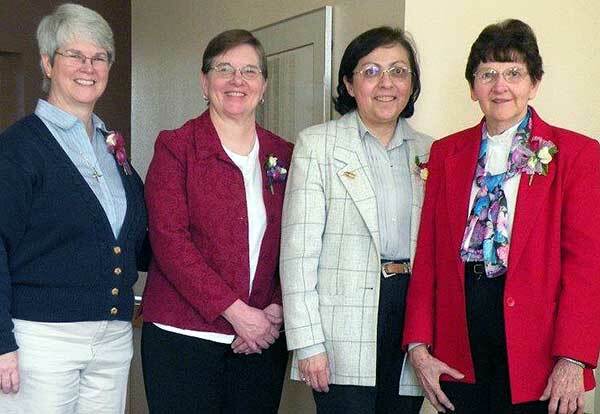 Joan Williams, OP becomes the new Vicaress, Maureen Geary, OP and Megan McElroy, OP will both serve as Councilors. The private announcement ceremony was held on Sunday, March 11, 2018 in Dominican Chapel at Marywood in the spirit of prayer and celebration. The new Leadership Team will serve a six-year term beginning July 1, 2018 through July 1, 2024.